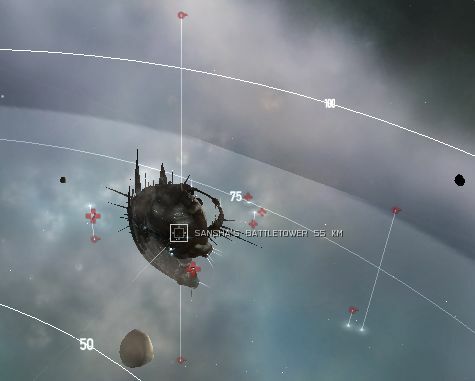 Sansha's Battletower dropped 9x T1 items instead of planetary vehicles. completed in: Raven with cruise missiles with 2x EM, 2x Therm, 1 BCS. The "endboss" Draben Kuvakei has a higher armor repair amount than usual battleships. Taking him out with 1 BCS is a bit of a pain, but 2-3 BCS should do fine. The damage in the last pocket was pretty decent. I used explosive ammo for the towers and EM for all the ships. Difficulty rating of pocket1+2: easy, pocket3: medium/hard. no need of a CNR as a "recommended ship". 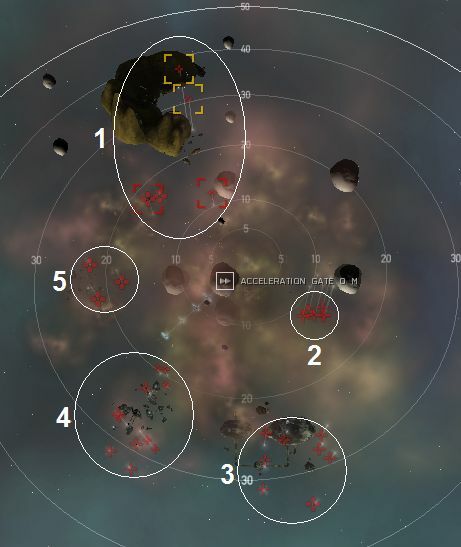 any t1 non faction bs do this mission if it's well fitted. I did this mission with a friend of mine and he warped out first. After that, I couldnt warp out: Notify You cannot warp there because natural phenomena are disrupting the warp. This was because of the "magnetic retainment field" next to the base. Once I did shot it down, I could warp out again. In my latest Sansha Vengeance the mission didn't complete when I killed the named battleship in the last room. I also had to kill the frigs. StonE, every mission has a CNR recommended for usage. They are so easy to get into. Me, I did it in a Golem and an Abaddon, and the mission just melted. I just ran the lvl 4 Vengeance mision with my Drake, it was a wicked time and 4000 Thunderbolt Heavy Missiles was just enough. My 5 poor Hobbies worked their little tails off. But the Salvage and loot made it worth it, especialy the Sansha Diamond Tag. Give this mission an A++ for excitment and a A+++ for a chalenging battle for my Drake. I used a Harbinger but got heavy tracking disruption and had to bring in my Drake alt, no Web or Scramble though. Completed in an Apocalypse. 1x LAR II, 2x EM Hardener II, 1x Thermic Hardener II. Had no problem warping out from last pocket, (or any other pocket). Mega Pulse Apoc: EM/Therm/(EANM/EM/Th/DC--whatever) TC, Scorch/Multi/Xray; LAR--as many heatsinks as you can use and remain cap stable. Incoming DPS not bad as long as you follow mission description. Found no drone aggro in Stage One as long as the frigs have fully closed; Hobs (or Acolytes if you decide cheap is good). Don't need an AB. - need confirmation on that: npc tracking disruption has been nerfed: while 5 cruisers were TD me, I still had a 16.9km optimal with scorch killing the cruisers with ease. 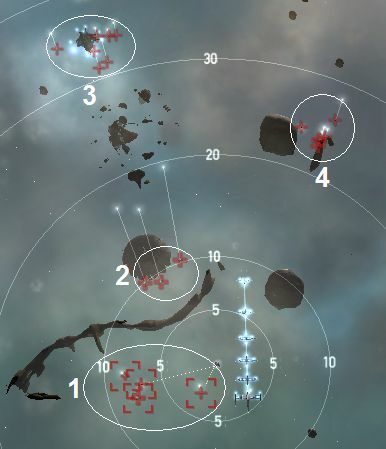 A Tengu with 4 Caldari Navy BCS and 6 Heavy Missile Launchers (and moderately good skills) requires roughly 20 salvoes of Thunderbolt (EM) missiles to kill Draben Kuvakei, depending on when and how frequently his Armor Repairer kicks in. Easily done with passive fit Tengu. Never went under 95% shield and final BS was easily take down. Dropped T1 Meta4 large armor rep. Bounced off the gate in pocket 1 and got pocket aggro. 2 T2 hardeners, T2 membrane and Navy LAR weren't enough to tank it. Good thing there weren't any scrams. Careful! becareful in the first pocket since its typically full of roids.I got trapped between some roids and the acceleration gate when I accidentally warped in with the wrong hardeners. Needless to say Apocalypse down. Completed in Drake with 2 EM Ward II's and one Thermic. Pocket one got hairy otherwise easy. And the damage it says they do on here are different. same with damage to do to them.